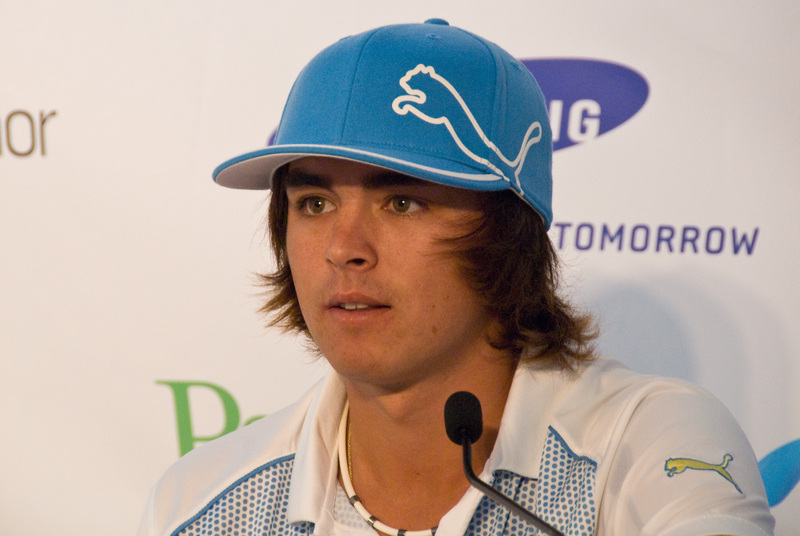 It’s no secret that Rickie Fowler is incredibly popular. He’s a good looking guy who isn’t afraid to look or act different on the golf course, plus despite the criticism about how he hasn’t lived up to the expectations on the course so far in his career, he’s pretty damn good out there. He’s the world’s 29th ranked player, and 16th among all Americans. Another reason why he’s so popular is the way he interacts socially. He’s got over 500,000 Twitter followers, and he frequently responds to fans through his account. Last weekend, he showed again why he has so many fans. Other athletes could learn a thing or two from Fowler about how to interact socially and give back to fans who idolize them from afar. He even got a little help from Jason Dufner. I am a newbie at blogging and Twitter. Bear with me while I learn. Keep it in the short stuff!